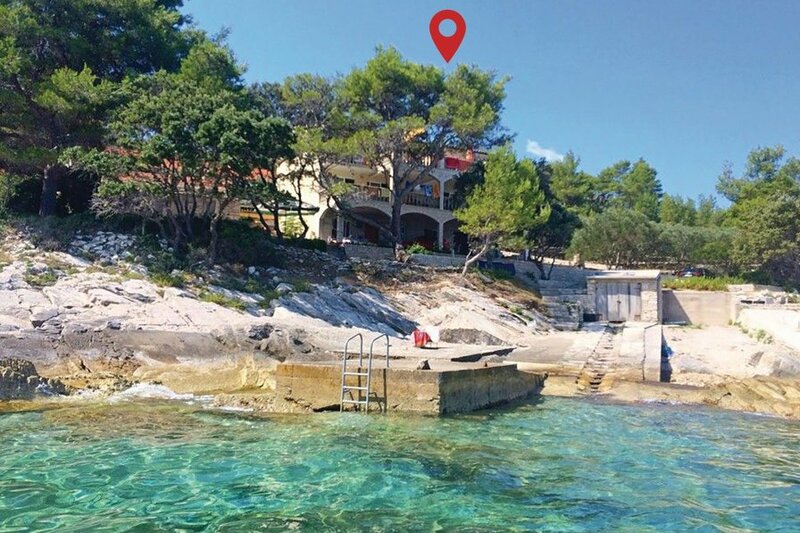 On the northern side of the Korcula island, in the small bay of Naplovac, there is this house with four apartments, located right at the coast. On the northern side of the Korcula island, in the small bay of Naplovac, there is this house with four apartments, located right at the coast. 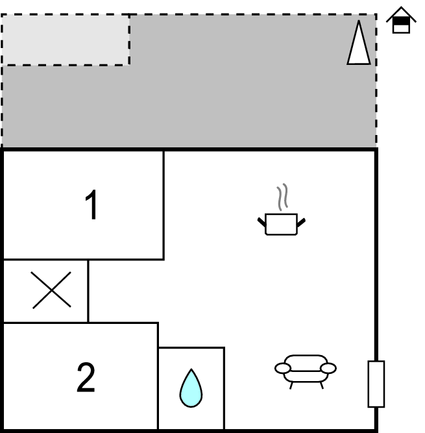 Two apartments are on the first floor and two on the second floor. They are equipped with basic furniture. The apartments on the first floor have a large terrace which is partly covered. They are suitable for a large group of friends. The two apartments on the second floor have a terrace with a view on the Korcula channel. The concrete beach below the house and the straight, long rocks are ideal for sunbathing while the crystal clear water is ideal for carefree relaxation. You can also visit the tourist places Blato, Korcula and Vela Luka. This modern apartment is made from brick or stone and was recently built in 2005. The agent has rated it as a three star property so it is a well-kept apartment, equipped with standard furniture. It is also good value for money. This apartment has beautiful panoramic view over water and is located in Prigradica, only 4km from Blato. It is set in a very convenient location, just 10 metres away from a rock bound coast. There's also a restaurant 2km away. The apartment has free wireless internet. You can also park on-site at no extra charge. The apartment is adequately equipped: it has a refrigerator and shared washing machine. It also has some garden furniture outside.